Do you believe in love at first sight? And does love at first sight happens because of collective circumstances that lead to it? 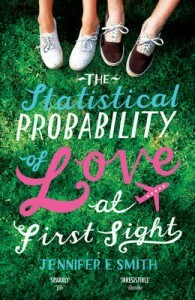 The Statistical Probability of Love at First Sight is a book as the title says, quite what it is – love and the chances of it at first sight. When Hadley misses her flight to London by four minutes, she never expects to meet Oliver – someone she instantly connects with, someone who has his own set of problems and so does she, and it is quite interesting to see how they solve their own problems, one by one, over the course of one day. The book is a young adult romance so to say and yet it is written with so much maturity on so many levels. I could relate to Hadley in so many ways when I was seventeen – the same anxiety, fears and worry about the future. Hadley has had an estranged relationship with her father. She is on her way to London from New York to attend her father’s second marriage and does not know how to react to it. Oliver on the other hand, has his own life which he doesn’t share initially but the layers are soon peeled and reality sinks in. The reality that when they are done with the journey and land in London, (they are seated next to each other 18A and 18B for seven hours on the flight) what will become of their friendship/relationship. Will they meet again? What does life have in store for them, if it does for the two of them together? I found the book a sweet read. There were no mushy romantic moments and I liked that. The book in that case does not get boring. Jennifer E. Smith knows the craft of writing for young adults. It is not the typical romance novel, and that’s why it worked well for me. Jennifer writes with a quick pace. She doesn’t make the reader wait for things to unfurl. She knows that the reader expects this and this is what needs to be given. The ending worked very well for me. It is sweet for almost all characters and a little fluffy. The book makes you want to travel, because at the end who knows what might happen on an airplane ride to two strangers. 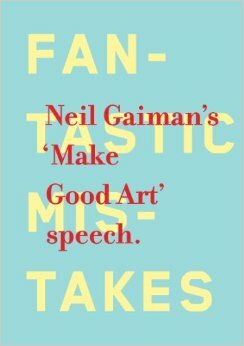 To read something light without it being too mushy, you must pick up this book. This entry was posted in Books, Fiction, Hachette Book Group, hachette india, Headline Review, Review, Young Adults and tagged hachette, Headline Review, Jennifer E Smith, Love, The Statistical Probability of Love at First Sight, young adults on May 19, 2012 by thehungryreader.